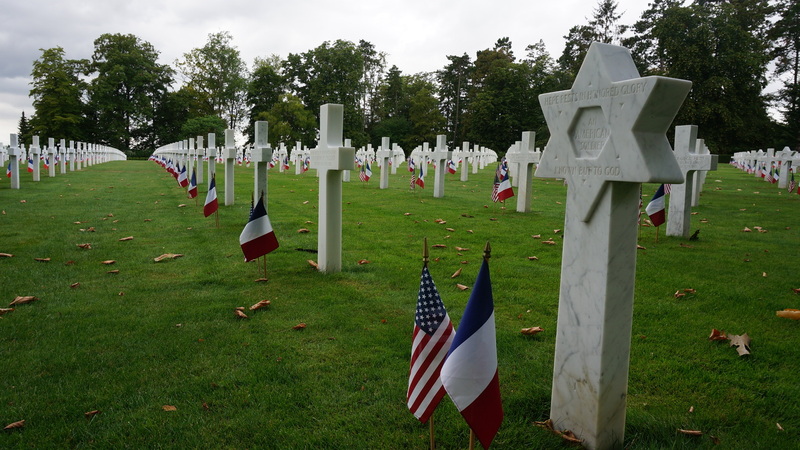 At the Oise-Aisne American Cemetery and Memorial, graves of American soldiers who died while fighting in the Fère-en-Tardenois vicinity during World War I. Photo by Megan Devlin. Earlier this year, just ahead of U.S. President Donald Trump welcoming French President Emmanuel Macron to Washington for the first State Dinner of his Administration, rhetoric seemed promising for a renewal of the U.S.-French Alliance. A few months later at the Group of Seven summit, President Macron and Canadian Prime Minister Justin Trudeau encouraged global leaders to pressure President Trump to reverse his trade threats aimed at numerous U.S. allies. In recent weeks, the French and U.S. leaders have discussed NATO spending and U.S.-European Union trade and possible negotiations following the imposition of American tariffs on steel and aluminum. With bilateral tensions running high from an economic perspective, what lessons can be gleaned from the Franco-American relationship that stems back over 250 years? Meridian explored this question during a summer delegation to France that brought U.S. National Guard officials and American diplomats together with French military and political leaders in commemoration of the Second Battle of the Marne, the last major German offensive on the Western Front during the First World War. To kick off the delegation, Meridian partnered with the U.S. World War I Centennial Commission to host a salon dinner on Mobilizing the Citizen for National Security: Lessons from the Great War and the Centuries-Old French-American Military Alliance. The dinner, which took place on July 27, 2018, at the historic Château de Courcelles, gathered 40 leaders including high-ranking U.S. National Guard and French generals, World War I military historians, French senators and mayors, and WWI Centennial Commissioners. Sparking dialogue across the tables over the course of dinner were featured speakers André Rakoto, Paris Director in France’s Office of Veterans and Victims of War (ONACVG); Charles Bowery, Executive Director of the U.S. Army Center of Military History; and U.S. National Guard General Joseph Lengyel. 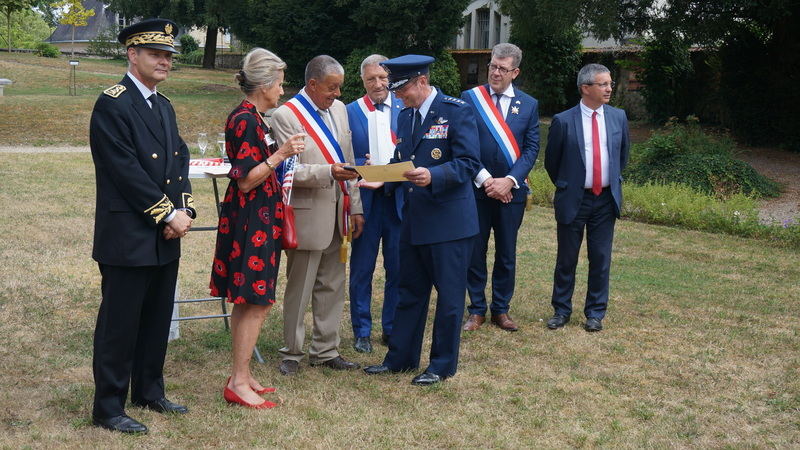 Notable guests in attendance were Mr. Nicolas Basselier, le Préfet de l'Aisne; Lt. Col. Jean-Gabriel Herbinet; Mr. Jacques Krabal, le Député de l'Aisne; Sénateur Antoine Lefevre, de l'Aisne (Hauts-de-France); Major General Steven Ferrari, Commanding General of the 42nd Infantry "Rainbow" Division; and Caroline Gorse-Combalat, Cultural Affairs Specialist for the US Embassy in Paris. Dr. Monique Seefried, U.S. WWI Centennial Commissioner, facilitated the dinner discussion alongside Meridian’s own Ambassador Stuart Holliday, President and CEO, and Ambassador Laurie Fulton, Trustee and Diplomatic Advisor to the U.S. WWI Centennial Commission. An emerging theme across the conversation was the bilateral efforts to transmit knowledge from citizen soldiers 100 years ago to those citizen soldiers serving in wars and global conflicts today. Looking back even further to the War of Independence, American troops that fought in battles under French Marquis de Lafayette named themselves the National Guard in honor of Lafayette’s celebrated Garde Nationale de Paris. 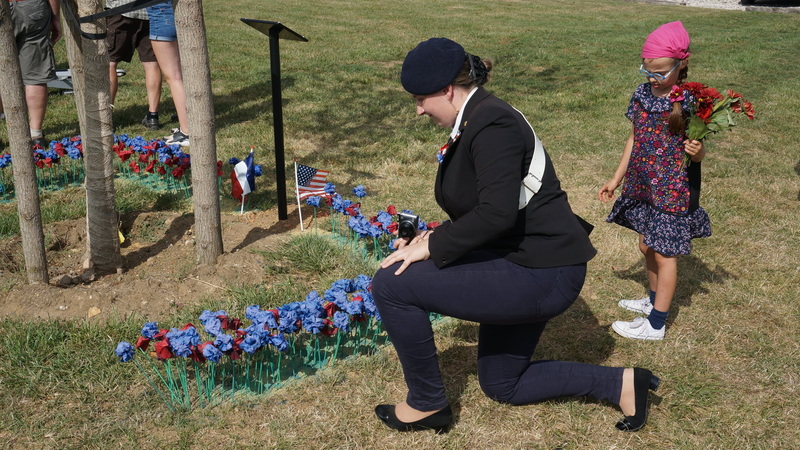 This historical context is relevant for not only the centennial commemorations but also for the current French initiative to reinvigorate its "Reserve Citoyenne" by drawing inspiration from the success of the U.S. National Guard, bringing the 250-year-old French-American military alliance full circle. 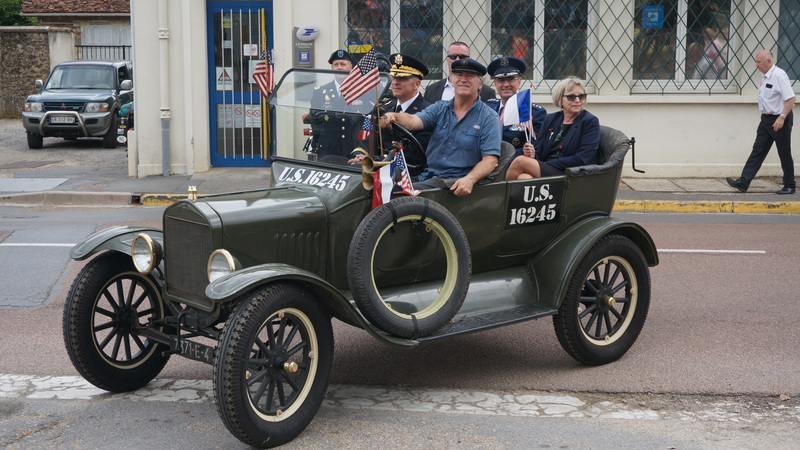 American dinner guests notably highlighted the dichotomy between the two nations’ initiatives around World War I, with most Americans perceiving it as a “forgotten war” while the French actively drive resources toward its remembrance. Among the French dinner guests, there was consensus regarding the gratitude of the French people for the Americans who served 100 years ago, to which the centennial gives occasion not only to honor the Americans’ commitments to France but also to remember the friendship between our two nations’ people. In his remarks, Mr. Rakoto expounded on the role of the citizen by expounding on France’s civilian service initiatives, sharing that President Macron aims to implement a national service minimum where, for 90 days, French citizens support the government in fulfilling its most critical needs at that time – and not necessarily from a military perspective. For the Americans, this resonated deeply with the vision of former President John F. Kennedy’s who famously said, "Ask not what your country can do for you—ask what you can do for your country." 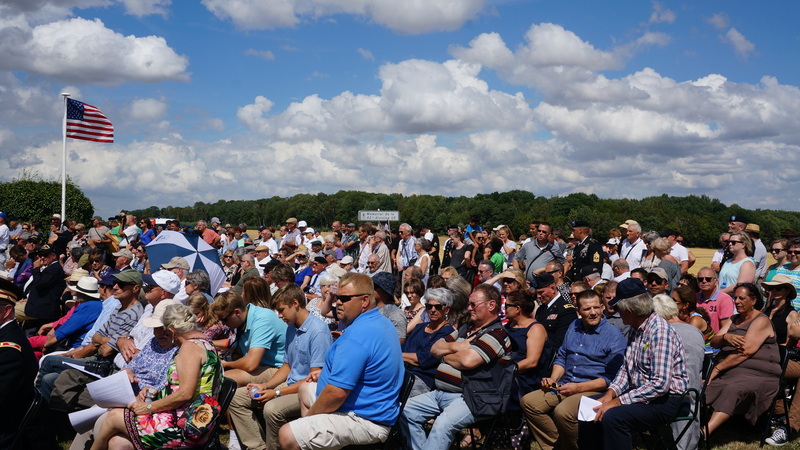 The following day, July 28, featured a number of commemorative ceremonies in Fère-en-Tardenois. 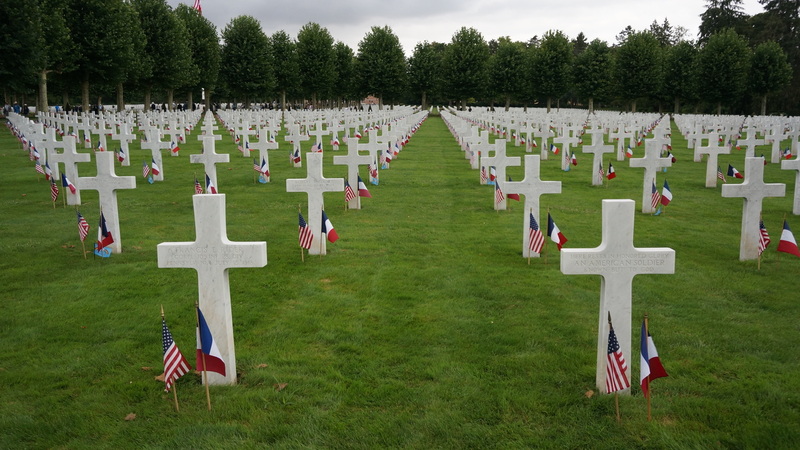 The first took place at the Oise-Aisne American Cemetery and Memorial, which contains the graves of 6,012 American soldiers who died while fighting in the Fère-en-Tardenois vicinity during World War I. Meridian joined hundreds of French citizens from the Aisne region as well as the U.S. National Guard and French military and political leaders who attended the previous night’s dinner and helped lead this ceremony, which included bilingual remarks from American and French leaders, memorial wreath laying and a WWI biplane flyover. From the cemetery, guests moved to the town square for a parade and then to another ceremony at Croix Rouge Farm, the site of the famous battle where the historic 42nd Infantry Division – known as the “Rainbow Division,” comprised of National Guard units from 26 states and the District of Columbia, stretching like a rainbow across the United States – pushed German forces back across the Ourcq River and ultimately into retreat. This initiative is collectively known as the Second Battle of the Marne, in which 300,000 Americans fought and 55,000 were killed. 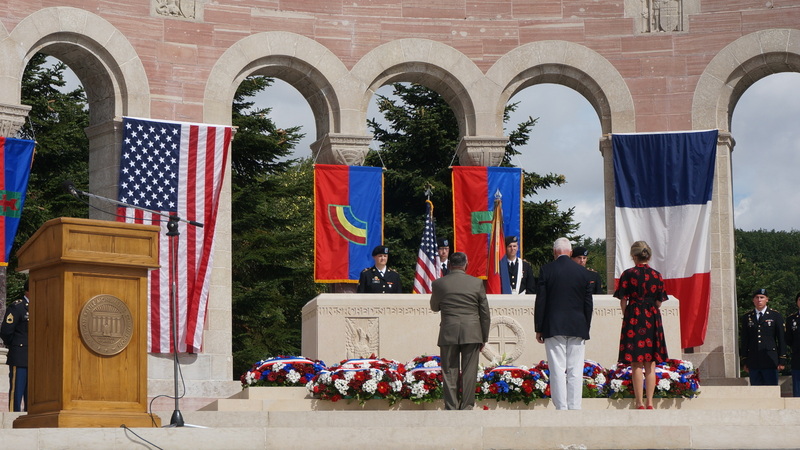 The July 28th commemoration was en leur mémoire (in their memory), acknowledging not only the French and American soldiers who fought together for liberty and democracy but also the Germans who today share those same values and are key allies in the modern fight for global security, peace and prosperity. This program is part of the ongoing U.S.-France Leadership Dialogue series, and generously supported by the Richard Lounsbery Foundation.